Caring for your sick baby is among the biggest responsibilities any new parent faces. 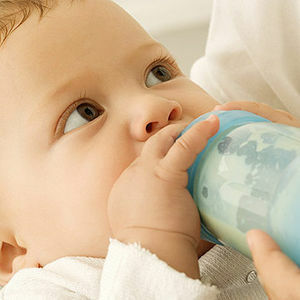 Here, you'll find information on some of the most common (and uncommon) health problems your baby is likely to encounter including: Acid Reflux, Allergies, Asthma, Autism, Colds, Constipation, Cough, Flu, Ear Infection, Eczema, Diarrhea, Fever, Teething, Rashes, Sunburn, and more. It's miserable to watch your kid suffer through sickness. 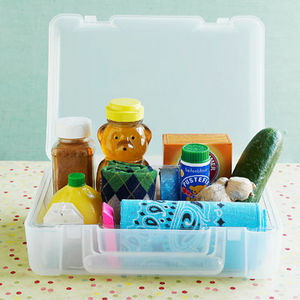 Help her feel better with these home remedies for coughs and colds. 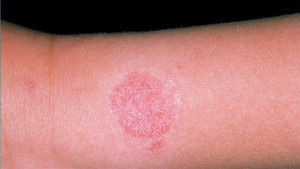 Rashes develop when the skin is irritated by allergic reactions to bacteria, viruses, foods, metals, and other factors. Read about different rashes to prevent and treat them. 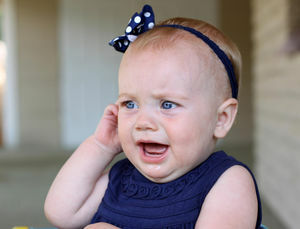 Hear wheezing, hacking, or barking in your infant's cough? Find out what's normal and what could be a symptom of something more serious. Here, experts weigh in on common myths surrounding the practice of vaccination -- and why those myths are wrong. 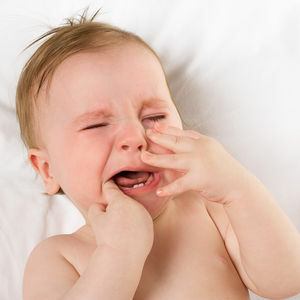 Eczema, or atopic dermatitis, is a common problem among babies. First-time mom Melissa set out to change her family's lifestyle to help alleviate baby Ethan's severe eczema. Get her tips for treating eczema and providing relief for itchy skin rashes. Quiz: Could You Be Exhibiting Symptoms of Postpartum Depression? Having a baby is a joyous event for most women. 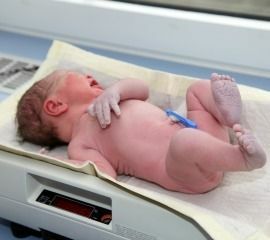 After childbirth, however, more than 80 percent of women suffer from a mild form of sadness, fear, anger, or anxiety. But if those baby blues don't go away after a week or two, it may signal a more serious problem. Take our quiz and find out if you may be showing signs of postpartum depression. When will the lump from cephalohematoma disappear? 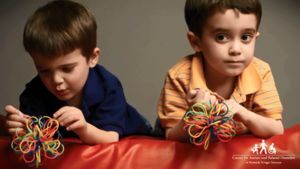 This video from the Kennedy Krieger Institute, in Baltimore, features three children who show early signs of autism spectrum disorder playing with toys and interacting and communicating with others. It compares the footage on each of these children to that of typical children in the same situations. 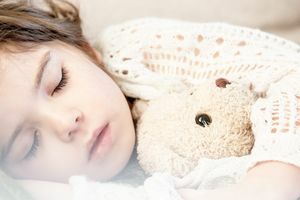 aIt helps parents to articulate to their pediatrician any behaviors that concern them,ay says Rebecca Landa, Ph.D., director of the Center for Autism and Related Disorders. There are two types of contact dermatitis: irritant contact dermatitis and allergic contact dermatitis. Find out how to identify and treat both skin conditions and when you should call the doctor. 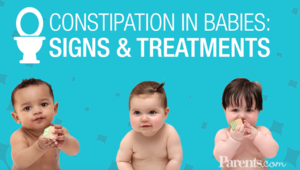 Find out how to recognize signs and symptoms of constipation in babies, and learn some pediatrician-approved strategies for treating this common condition. 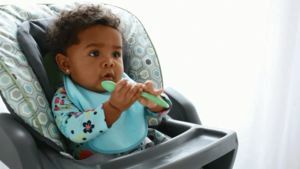 Teeth-cutting doesn't usually push a baby's temperature high enough to be considered teething fever, according to the American Academy of Pediatrics. Vomiting can signal anything from a 24-hour bug to a food allergy to appendicitis. Here's how to figure out what's making your child's stomach ache -- and how to treat it. 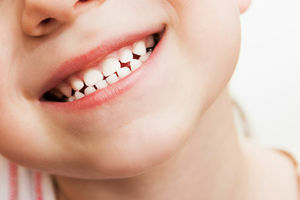 If you think your child is too young to need a dentist, you're wrong -- her teeth are at risk long before she's tasted her first piece of candy. 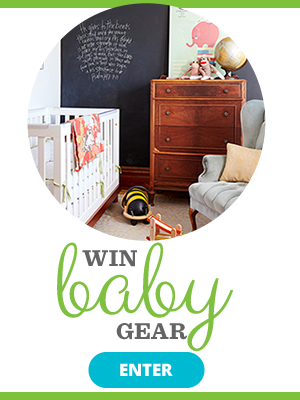 Now that your baby's teeth are on their way in, it's time to start taking care of them. 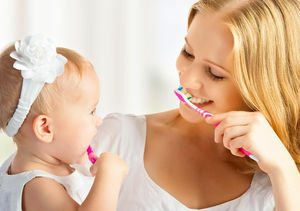 Even though this set will only be around for a short time, their health is essential to your baby's gums and those future permanent teeth. 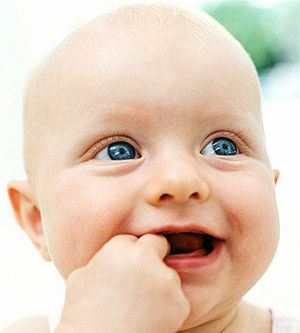 Make sure your baby's new teeth get the best care. Here are some practical tips. The fall and winter months are Sicky City. We've got expert advice on helping her through the illnesses that bother babies most. 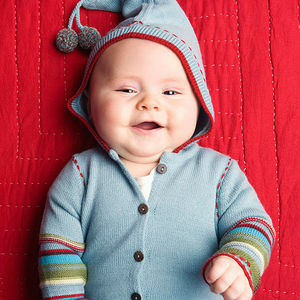 The average cold can last up to 10 days--that's a long time of not feeling well for a baby! 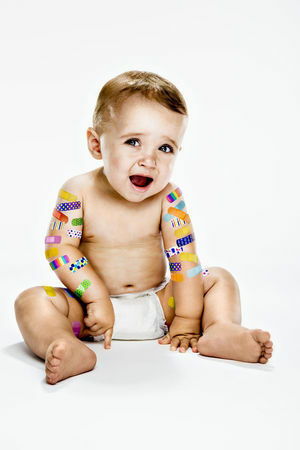 Here's how to survive and make your little one feel better, too. What Do Hives Look Like on a Baby? Hives is a common skin condition that can be caused by bug bites, medications, food allergies, and more. If you suspect your baby has hives, learn how to spot the symptoms, how to treat her, and when to call a doctor. 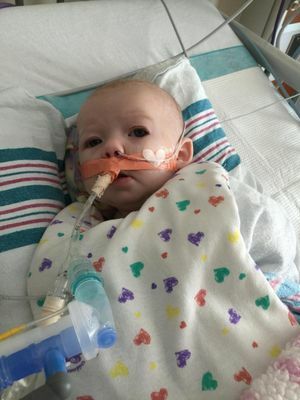 One dad is spreading the word about the importance of hand washing after almost losing his baby girl to RSV. Our hearts go out to the parents of the toddler who passed away during a dental procedure. And here's what parents can take away from this unthinkable tragedy.